When: 7:30 p.m. Newfoundland time, 6 p.m. Wilkes-Barre time. 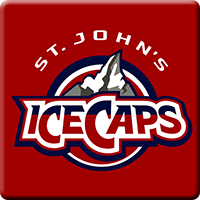 Last Game / Last Meeting: Last night in St. John’s the Penguins won 2-1. St. John’s scored :21 into the game, but Matt Murray stopped all 33 shots that came his way the rest of the night. Derrick Pouliot scored a power play goal and J-S Dea added the goal ahead in the third period. Why you should care: Rematch tonight. The Penguins were sloppy last night and it nearly cost them early in the first and late in the third. St. John’s will want to take advantage this time and the Penguins do not want to make the same mistake twice. Other Game to Watch: If you are a night owl, two teams in the Pacific are battling tonight when the San Jose Barracuda, winners of five of the last six, travel to San Diego to take on the Gulls late on this evening out in California.